Singles’ Day or 11/11 is China’s own version of Black Friday, but much bigger and crazier. The day was originally created to celebrate “the honor of being single” but has since then grown into the largest eCommerce promotion in the world. In 2017, $25.3 Billion USD of sales happened within 24 hours, marking a 40% increase from 2016. Over 140,000 brands participated in the extravaganza and 15 million products were listed. The day even included a gala featuring top U.S. celebrities like Nicole Kidman and Pharrell Williams to count down to Singles’ Day. Of course, Taobao founder Jack Ma also made an appearance. As more and more Chinese people immigrate to western countries, brands outside of China are also joining in on the Singles’ Day craze. In 2017, established brands such as Ralph Lauren, Barney’s, and the Body Shop offered exclusive Singles’ Day promotion in the United States. The UK also saw a 32% year over year increase in online sales on Singles’ Day in 2017. 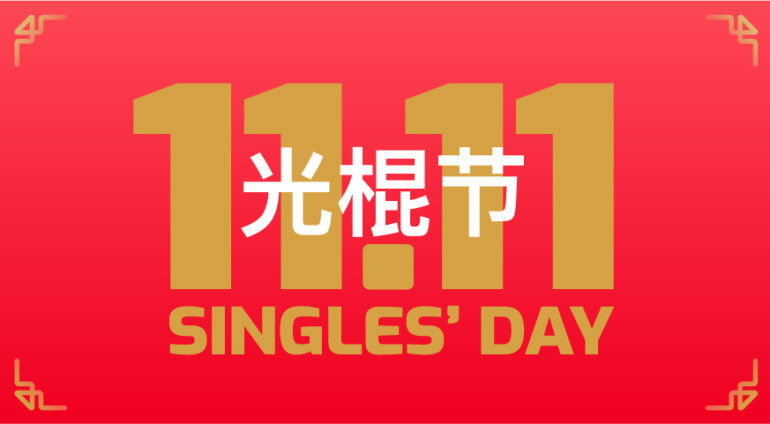 More and more, Singles’ Day is becoming a global phenomenon. We know this may your first time hearing about Singles’ Day, and the world of Chinese marketing can seem very complicated, which is why we’ve outlined three advertising platforms your brand can utilize to target Chinese users this upcoming Singles’ Day. (Tip: these methods can also be applied to Black Friday). WeChat is the most used app by Chinese audiences worldwide. It is also one of the most engaging platforms as over 50% of WeChat users spend at least 90 minutes per day on the app. (For reference, Facebook’s daily average time spent is 21 minutes.) WeChat allows brands to target Chinese audiences down to the city level and engage with them through multiple ad formats such as advertorials and banners. The platform is particularly effective for promotional campaigns and for both in-store promotions and eCommerce activations. News Daily (今日头条) is the most used Chinese news app by Chinese audiences around the world. It has over 200 million monthly active users worldwide and several hundred thousand in North America. The app features several in-app, programmatic banner placements with municipal level targeting. It has shown to be very effective in targeting an older, Chinese audience in the past. As Chinese audiences abroad become more ingrained into western culture, they are also adopting western platforms such as Facebook, Instagram, and Google. Through the support of a Chinese landing page and specific language settings and placements, these western platforms can become very effective channels for targeting Chinese users. Last year, Michael Kors received a lot of attention because of how they leveraged the WeChat platform to drive sales on Singles’ Day. At Sheng Li Digital, we have run successful Singles’ Day campaigns for numerous clients. Contact us directly to learn how you can take advantage of this very unique holiday.